For more than 90 years, Frisian Flag has graced families all across the country with its presence as a beverage, bread spread, and cooking ingredient. Widely known as ‘Susu Bendera’, the brand wanted to re-establish a single message and build credibility across all products. 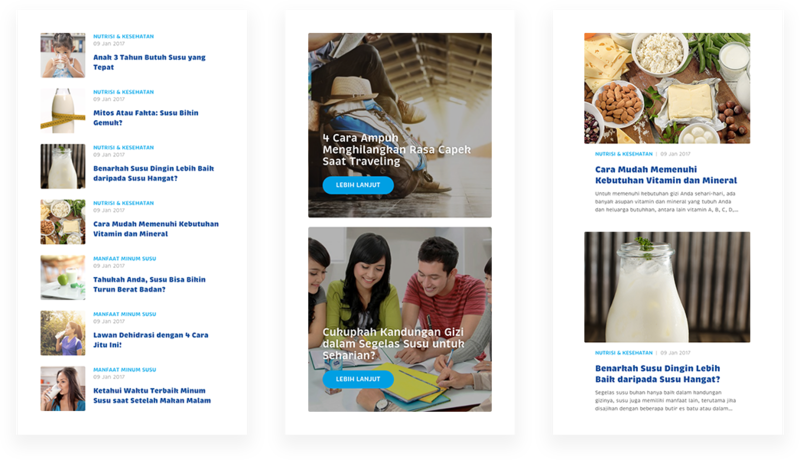 We are going with a new approach where there’s going to be one communication from Frisian Flag that can be translated into different messages and activities driven by each products. The Frisian Flag website will be the information center that includes always on content, campaign information, as well as corporate updates. 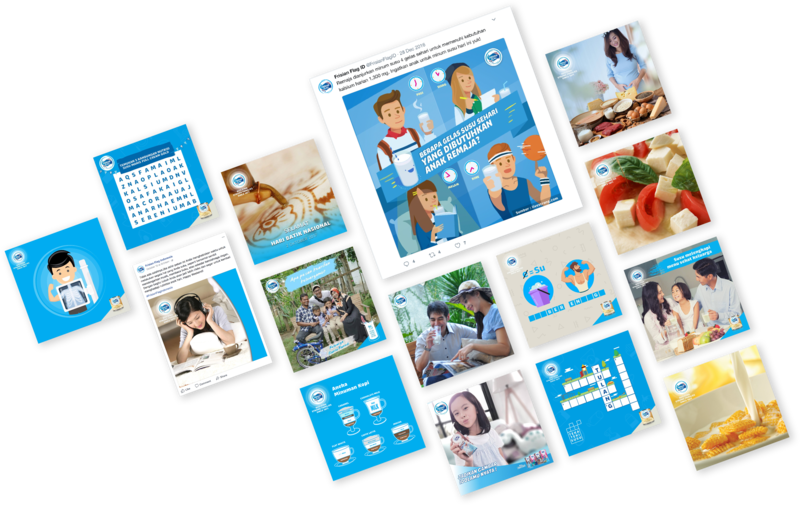 We began by restructuring the website to be consumer-focused, with highlights on engaging activities and useful contents about the benefits of drinking milk. All campaign sites which previously has separate domain names are now integrated under ‘Our Activities.’ This approach creates a consistency among every activities while establishing frisianflag.com as the mother brand of all Frisian Flag products. We want to give the audience something back for the time they spend consuming our content, which is why our content strategy aims to inform, educate and inspire on the importance of drinking milk. All contents are also powered by relevant keywords to enable content discoverability from search engines, while keeping the content interesting for the audience to read. To avoid confusion among our consumers and optimize on engagement, we merged all the different Frisian Flag accounts into one dedicated account per social channel. This way, we will have clear division of content and distribution channel for different campaigns throughout the year. This new way of speaking to the audience have been very effective in getting their messages across multiple channels, without losing sight of what’s more important than their product sales, which is connecting to the customers without too many noises around the communication. The platform is also actively churning out contents that educates the consumer over how milk can really be beneficial to their health. It also sets a new bar in Indonesia on how a corporate entity can also coexist with their brands under one umbrella message. Need to connect to your audience through digital channels and market your product/services? We are crazy about how humans interact with digital technology. Do you suffer from the same illness? Mail us at [email protected] or drop us your info and let us reach out to you.